Today, WORC and Powder River Basin Resource Council (PRBRC) filed a formal citizen complaint requesting inspection and enforcement of financial bonds guaranteeing reclamation at Arch’s huge Wyoming mines. At stake is Arch’s $457 million reclamation liability that covers both its Black Thunder and Coal Creek mines near Wright, and other idled operations. Black Thunder is one of the largest mining complexes in the world, covering 90 square miles of Wyoming grasslands. Wyoming has permitted Arch to guarantee its reclamation with “self-bonds,” which are not allowed in some other coal mining states. The letter, filed with the Wyoming Dept. 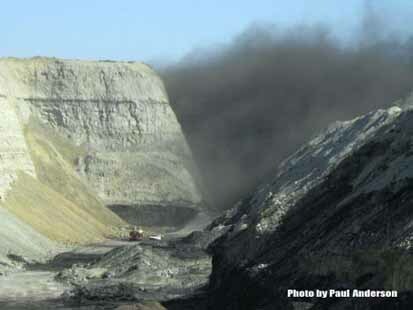 of Environmental Quality (WDEQ) and federal Office of Surface Mining Reclamation and Enforcement (OSM), details Arch’s precarious financial condition and the widespread belief that it will soon file for bankruptcy, which could result in Arch eluding its obligation under the federal surface mining law to guarantee that reclamation will take place regardless of the company’s finances. The letter requests that WDEQ and OSM undertake an enforcement action to require Arch to post independent third-party bonds to guarantee that reclamation costs will be covered.